Well, the Summer Sampler kicked off yesterday, and I could hardly wait to get home from work to make the first block. It's Water Well, designed by Katie/@swimbikequilt, and inspired by a photo Lizzy Williams/@lizzyography took in India. Gotta say, I'm a-ok with my fabric choices, which always feels good, doesn't it? I'm anxious to watch the travel map as we sew along. Since I've always loved the idea of quilts and quilt blocks inspired by what I/we see in the world around us, this feels good. There's still time to join in, or feel free to follow along! 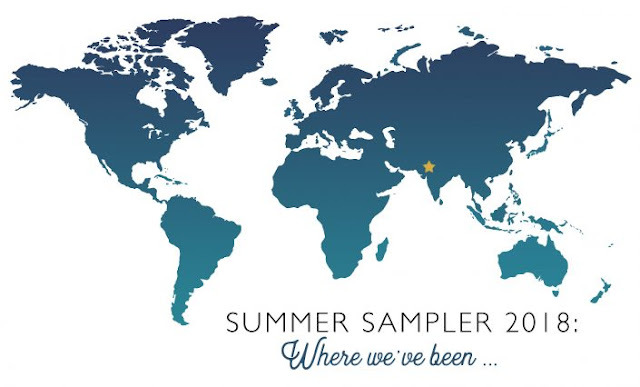 I love the idea of the map to go along with the sampler, and your color choices look great together! cut mine out yesterday - will stitch up today - making mine from Alison Glass fabrics. 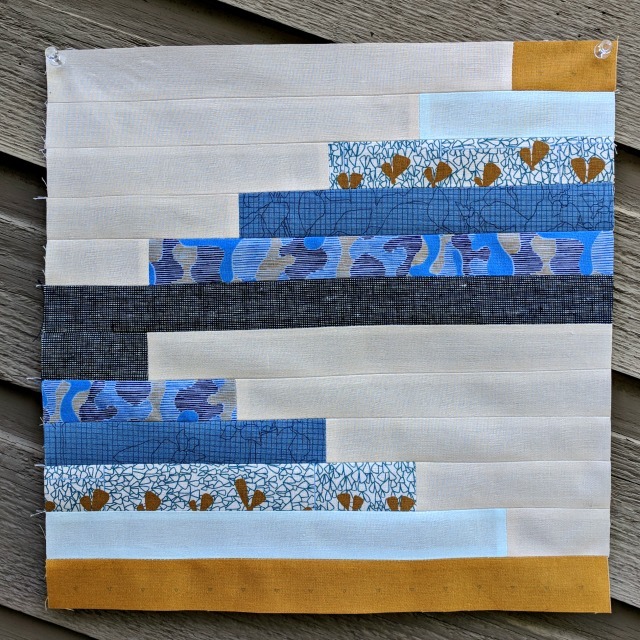 These gold and blue fabrics are gorgeous ! I'm looking forward to following your project ! The map is such a great idea! And I love that block!! I had to order my background fabric so am waiting for that to arrive. Everything else comes from the stash and I'm sticking pretty close to the suggested cool palette. This sounds like such a fun QAL - I love the idea of the map! Your fabric choices are definitely A-OK! Can’t wait to see this one evolve!